Listen to "Podcast 55 Listener Questions and Homestead Advise" on Spreaker. ​In today's episode we are answering a couple listener questions and giving some homestead advise. Please leave any questions or comments below. Listen to "Podcast 54 Intro to Permaculture Part 4 Energy Cycling, Biodiversity, and Natural Succession" on Spreaker. ​In this episode we finish the Intro to Permaculture series by tackling the topics of, Biological Resources, Natural Succession, Energy Cycling, Biodiversity, and Edge. This book (Introduction to Permaculture by Bill Mollison) is an amazing resource for everyone who wants to live a sustainable life. Please come on out to www.havenhomestead.com to hear all the episodes, read the blog, see pictures of the farm, and shop our store. Listen to "Podcast 53 Intro to Permaculture Part 3 Zones" on Spreaker. ​Welcome back everyone! In this episode we continue our series on the Intro to Permaculture. Our topic for today is zones. A design is broken up into 6 zones which consist of zone 0 through zone 5. In this episode we discuss in detail what these zones are and how they fit into the permaculture landscape. This episode is brought to you by our sponsors at www.patreon.com/havenhomestead ! Become a sponsor today! Listen to "Podcast 52 -Food Economy-Lindsay" on Spreaker. ​This is Lindsay's first solo episode. She is such a sweetheart for wanting to help me out while I am adjusting to my new job. She did the recording and I did the editing and posting. This episode is primarily about three phases of food economy. They are: meal planning, planning for and using leftovers, and composting unusable food scraps. We would like to hear what you think about the episode and we want to know if you have any requests for future episodes. Take an active role in spreading the good word about sustainable living by becoming our patron at www.patreon.com/havenhomestead today! Listen to "Podcast 51 Intro to Permaculture Part2 Permaculture Principles" on Spreaker. ​This is the second part of our Intro to Permaculture series. Today the topics we cover are: Relative Placement of Elements and Many Elements Preform Many Functions. I've found that it is hard to explain a concept without using drawings or visual input of any kind. If any of this is hard to understand, please send me a email and I would be happy to demystify it for you. We can (and will) change the world with permaculture! she also has books for sale on amazon. They are "How to D.I.Y. Anything: The Ultimate Maker Mindset" which is available in hard-copy and digital format, "The Christmas Angel", and "The Thanksgiving Chase". Listen to "Podcast 50 Intro to Permaculture Part 1 Ethics" on Spreaker. Today's episode covers: "what is permaculture? ", and "the three ethics of permaculture"
Listen to "Podcast 49 Cheap or Free Season Extenders" on Spreaker. ​In this episode we talk about ways to extent the growing season to get better harvests and beat the frost. We talk about recycling milk jugs and soda bottles, using windows for cold frames, using painters plastic to make a mini greenhouse, and more. Visit our wonderful sponsors at www.happyleafled.com for all of you indoor passive hydroponic growing needs. Consider doing your part in keeping this great work moving along my supporting us at www.patreon.com/havenhomestead for $1, 3, 5, 10, 20, or $30. Listen to "Podcast 48 - 5 Homestead Hacks To Save You Time and Money" on Spreaker. 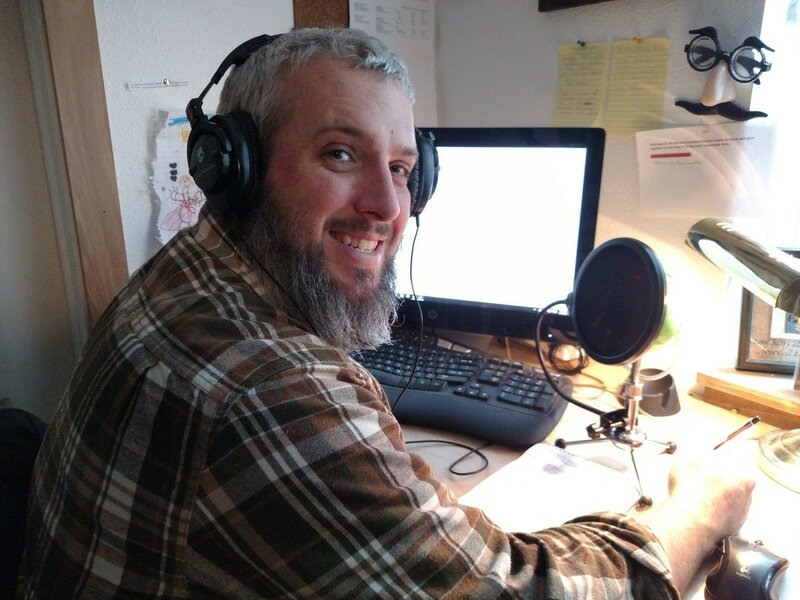 ​Episode 48 is all about homesteading hacks. I have brought 5 to the table. They are: pallet compost bins, pvc gutter with rain catchment, tarp lean-to with rain catchment, keeping gas fresh and on hand, and how we keep cats from using our planters as toilets. I hope this episode helps you save time and money on your way to living a more sustainable life. Visit www.happyleafled.com for all your indoor growing and passive hydroponic growing needs. Come on out to www.havenhomestead.com to learn more about us and the things we are doing to help people like you live more sustainable lives. Listen to "Podcast 47 -10 Plant Varieties That We Are Growing On The Homestead This Year" on Spreaker. ​This year is going to be a great gardening year! We are going to have some tried and true plant varieties and some new ones. We are going to try mouse melon, turnip, parsnip, two new types of radish, popcorn, vine peach, and some new salad greens. Listen to the episode to hear all about these exciting new varieties. Head on over to www.happyleafled.com for all your indoor passive hydroponic needs. Listen to "Podcast 46 IT'S ALIVE!- Seed Starting" on Spreaker. ​It is time to start thinking about this year's garden. I can't wait for spring! In this episode, I have an information-packed show for you. We talk about what a seed needs to grow and be happy. I also give you some insight into some of the mistakes I have made in my seed starting adventures. Give this show a listen and get ready to GROW! Thank you to our great sponsors: www.happyleafled.com who are willing to help you with all your passive hydroponic needs.